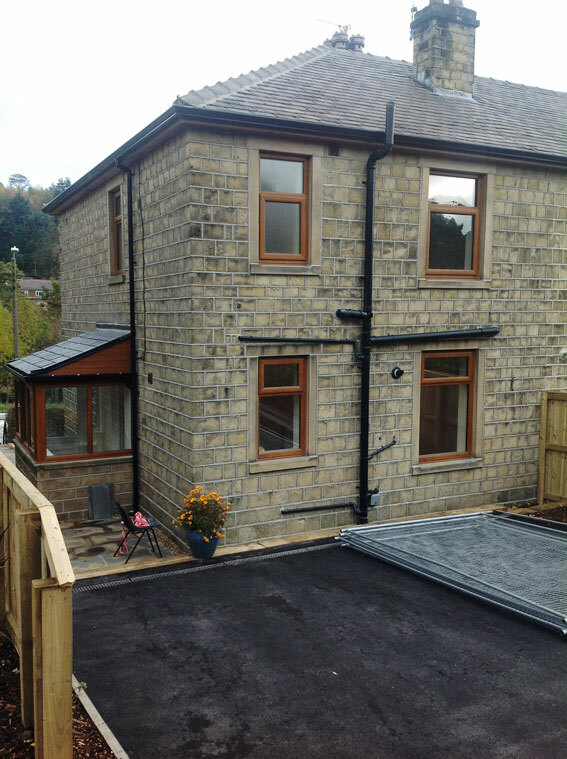 This attractive stone built 3 bedroom semi-detatached home as been futher enhanced with the installaton of our high quality double glazed doors and windows. As well as the obvious visual improvements to the property, the home will now be much warmer and there has also been a reduction of noise coming from outside. Call us today for a FREE no-obligation quote. Dont forget, we manufacture our own double glazed doors and windows at our huddersfield factory. If you would like to see your doors, windows or fascias being made, that can be arranged.